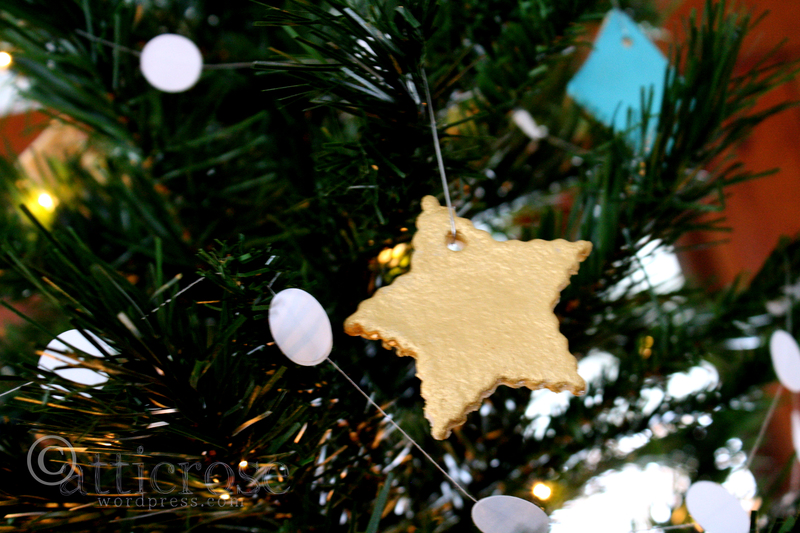 This year we thought it would be a good idea to use child-friendly ornaments on our tree. I am slowly collecting beautiful old glass ornaments, but those are displayed in an old box on our table (away from little hands). I don’t really get upset if ornaments break, they are just things. And I am usually the one that breaks the ornaments. L. and I had fun making them. I did most of the mixing, but she helped cut them out and paint them. That’s it! Mix the ingredients together in a bowl. Roll the dough out on a floured surface. Cut out with your favorite cookie cutters. 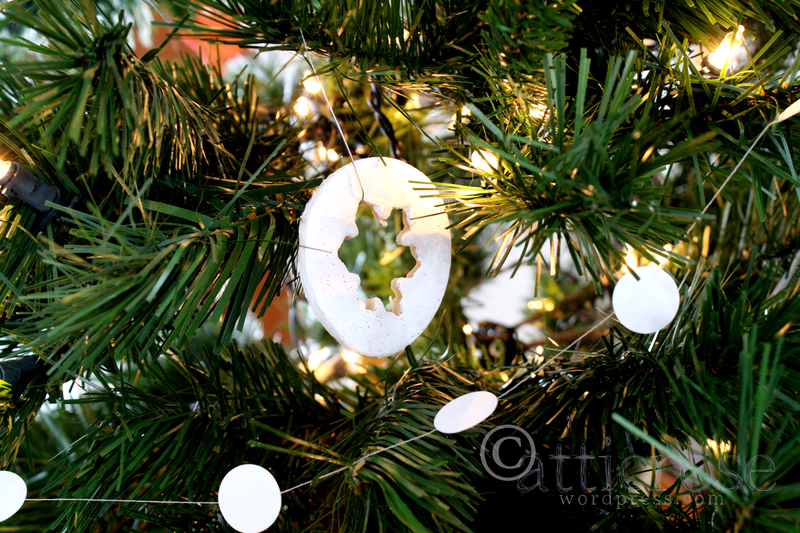 Make sure to punch a hole in the top of each ornament with a straw so that you can hang them up once they’re dry. (Sorry, I don’t have any photos of this process – my hands were covered in flour. Plus, I’m a slacker.) 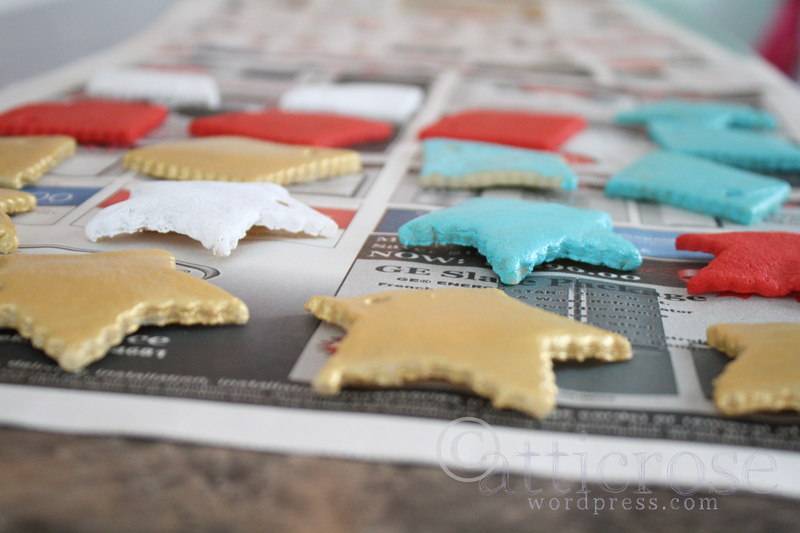 Bake the ornaments at 250˚ until they feel dry and hard. I didn’t really time mine. I let them set out overnight just to be sure they’re dry. 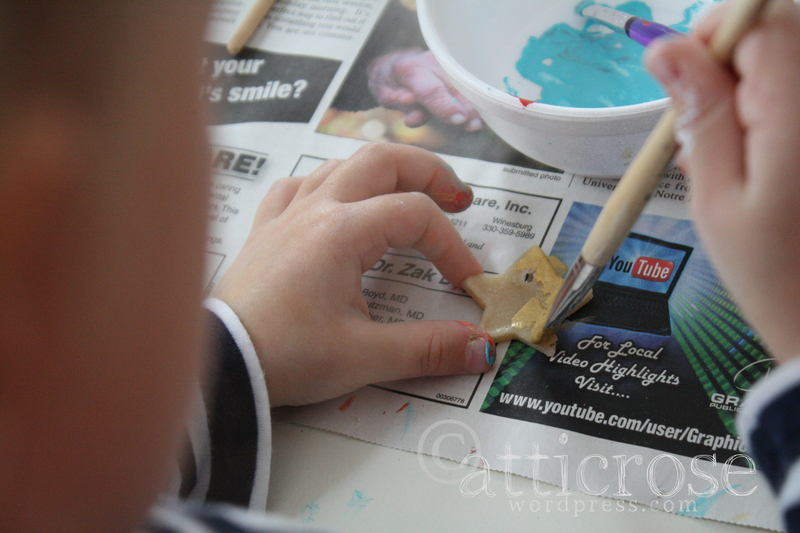 Next came to fun part, especially for L. We painted the ornaments with regular acrylic craft paint. It was a little messy, but fun. I think the whole painting process took a whole afternoon. We let them dry on newspaper. You can see how some of the ornaments look a little warped. I don’t think about it now that they’re on the tree. Besides, imperfections add character. Right? 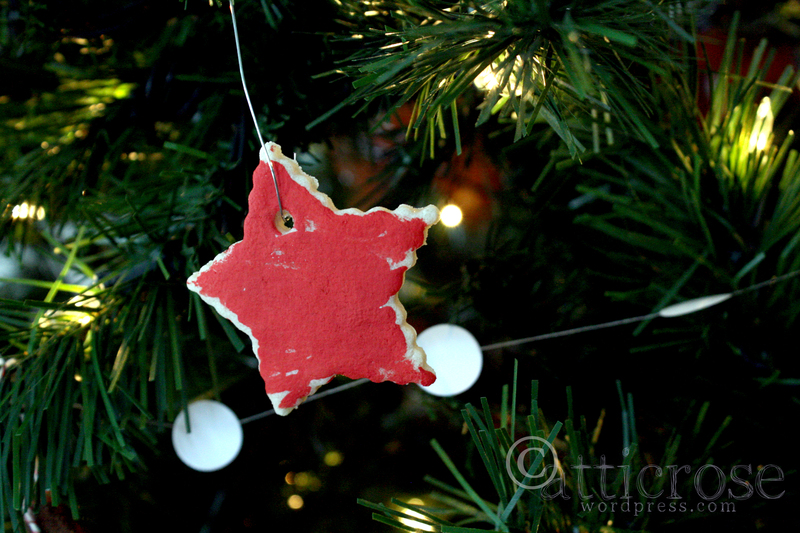 The next step was my favorite, hanging the ornaments on the tree. This one was done by L. I encourage you to leave your children’s masterpieces untouched. These have much more meaning than the ones I did. Oops. Where did this ornament come from? 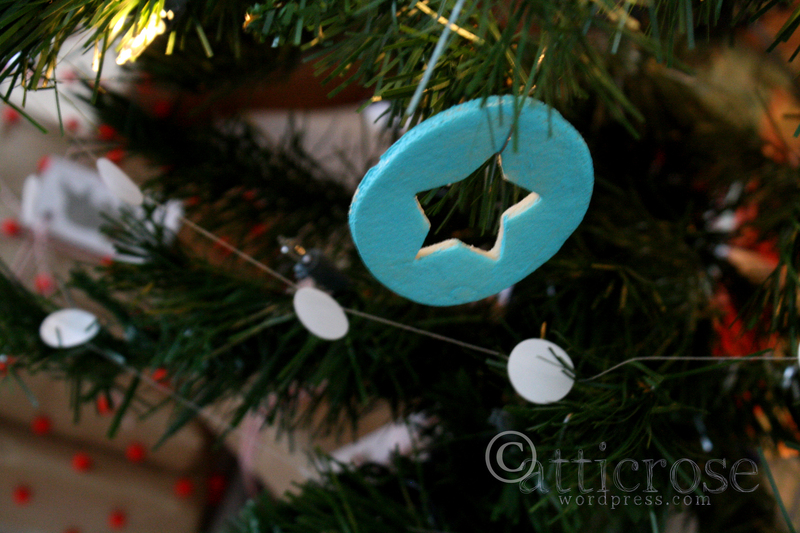 With just the ornaments, the tree looked a little sparse. 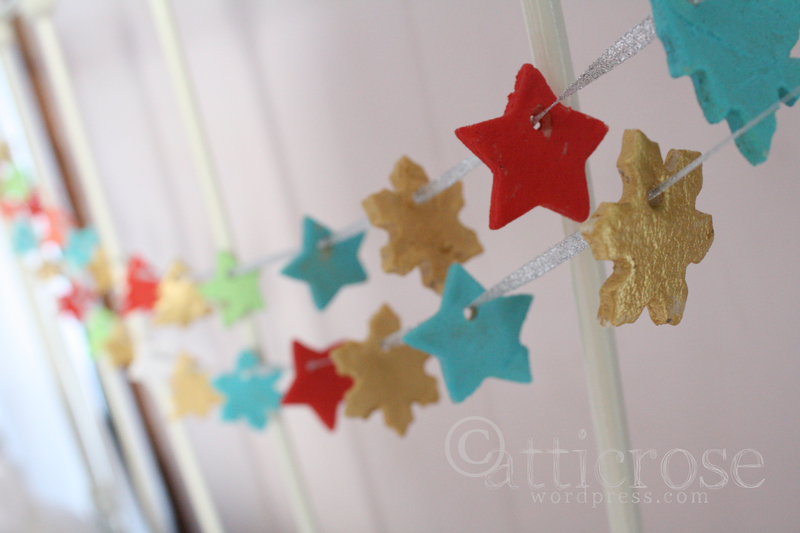 So we added a dot garland that I made a few years back. 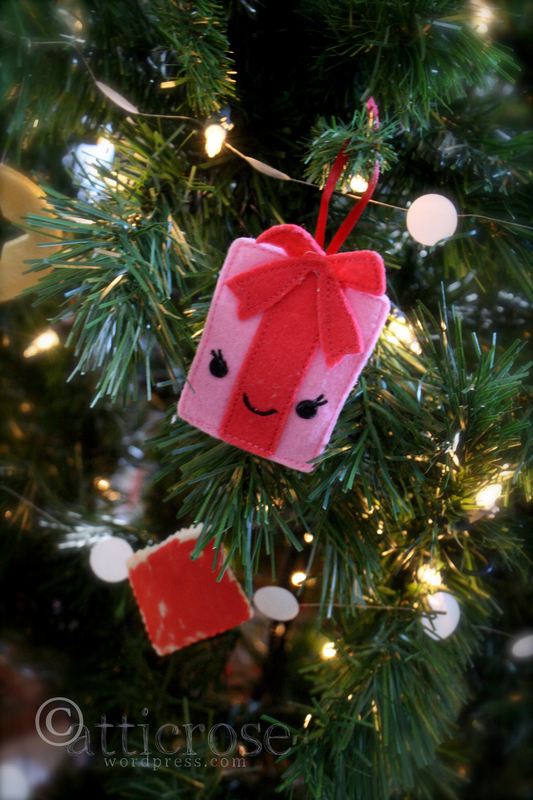 I used silver thread and white round labels. Stick two labels together with thread in the middle. A very easy, but time-consuming project. I can’t believe I had the patience to do that! I store it on an empty paper towel roll from year to year. For a few dollars, and a little time we have a child-friendly tree this year. And we love it. 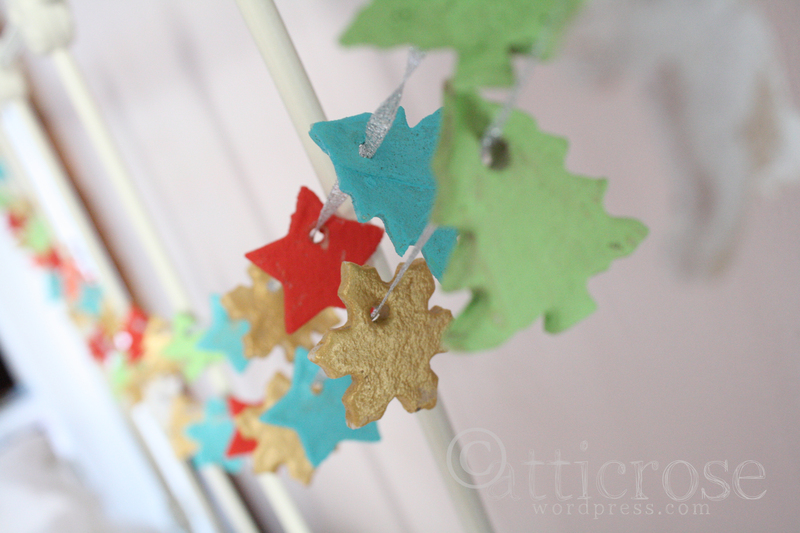 You might wonder what we did with the teeny tiny ornaments that L. was painting. I let her pick out more colors and we put them on a ribbon to hang in her room. They ended up hanging on her bed. She calls them her shapes.